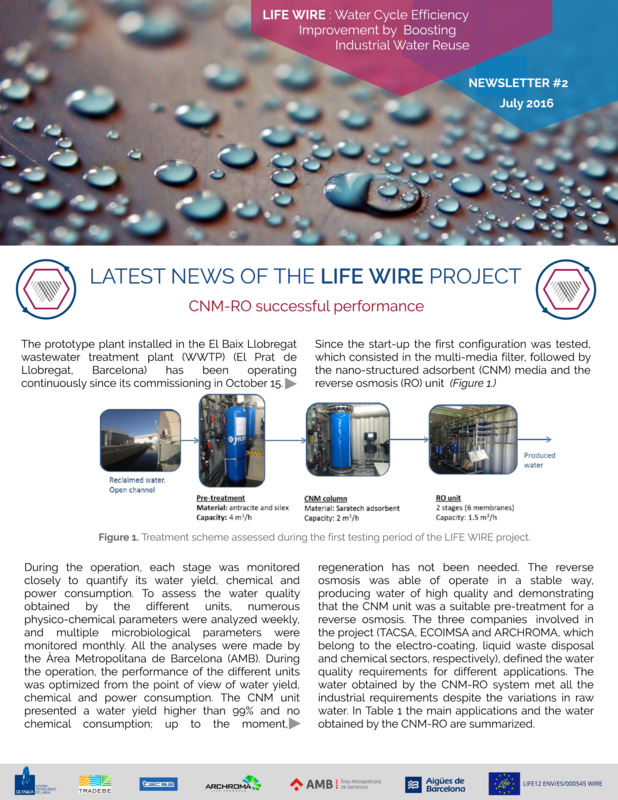 LIFE WIRE, a European demonstration project that seeks to promote the reuse of reclaimed water in industry, published its second newsletter in July. The main topic of this edition is the successful performance of the nano-structured adsorbent (CNM) media and the reverse osmosis (RO) unit implemented in the prototype plant installed in the El Baix Llobregat wastewater treatment plant (WWTP) (Barcelona). 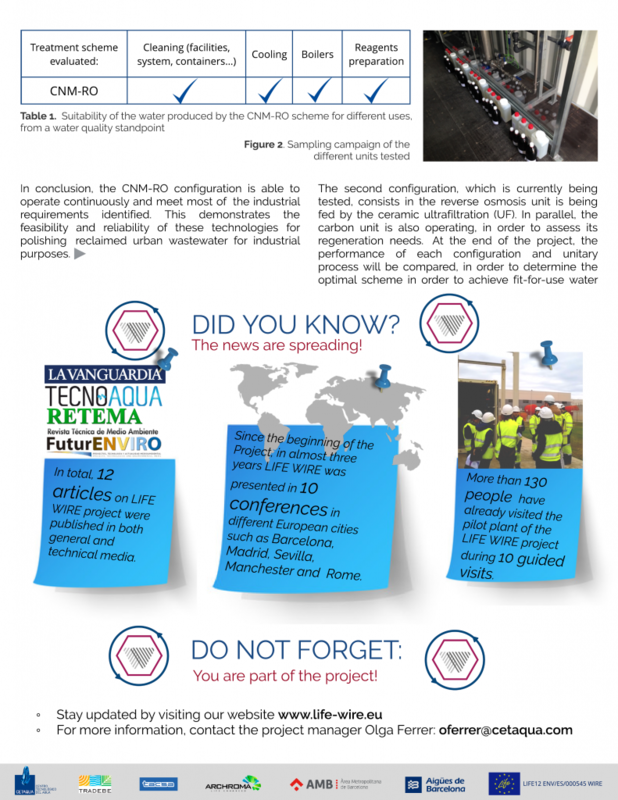 In addition to the technologies evolution, some interesting facts related to the project are included in the newsletter. The LIFE WIRE is the EC co-financed project under the LIFE+ programme coordinated by Cetaqua and features the participation Aigües de Barcelona, el Área de Metropolitana de Barcelona (AMB), Archroma, Tacsa y Tradebe as partners.